I fell in love with naked cakes all over again a few weeks ago when I made my first wedding cake for a friend’s wedding. Aren’t they just elegant and beautiful? They are the perfect accessory to a rustic-themed wedding, shower and all. During the practice for the wedding cake, I made a few small layered cakes to get the frosting and technique just right. 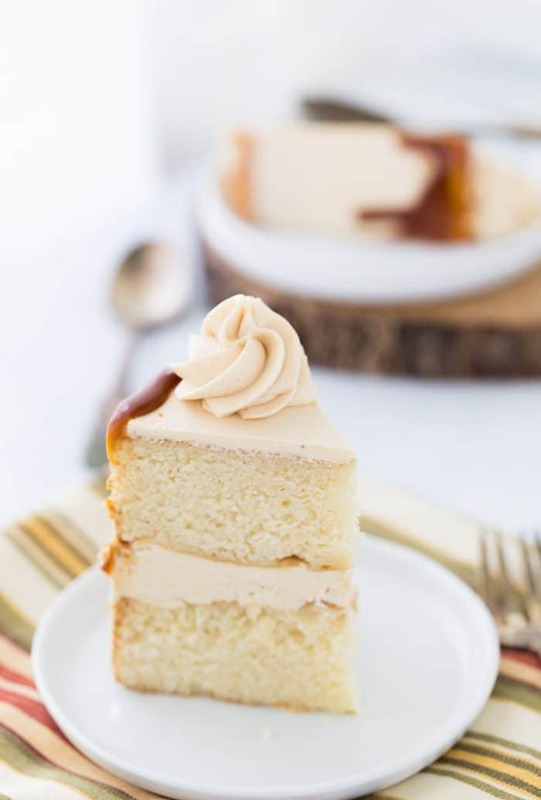 This brown butter cake with maple caramel buttercream was one of my test subjects. 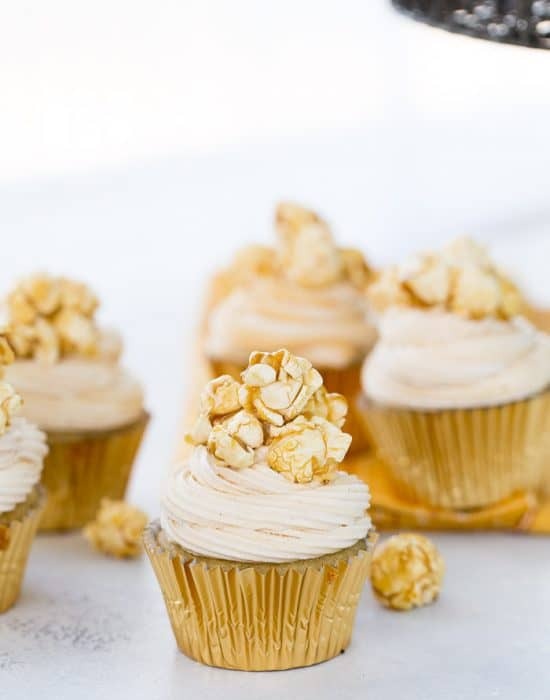 Based off my new favorite cupcake recipe (these caramel corn cupcakes), the cake has a rich nutty brown butter flavor and it’s wrapped in a sweet maple caramel buttercream. 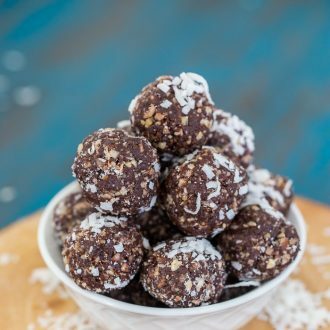 So so incredible and brings together great fall flavors. Today’s adventure in this new flavored caramel started with Amanda’s challenge over at lucky number 3. If you don’t know her, she the amazing baker behind lucky number 3 and who happened to have won the second season of the great american baking show (she’s pretty talented so if you don’t follow her already, please do!). 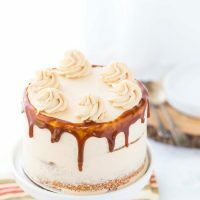 She started a monthly bake off challenge last month and she asked us (her baking enthusiast followers) to whip up any baked goods using the secret ingredient – maple caramel. 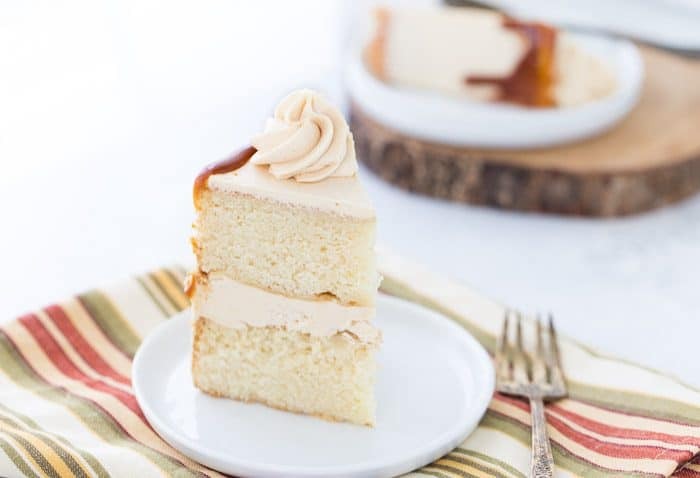 I paired the sweet, earthy maple caramel with a nutty moist brown butter cake. 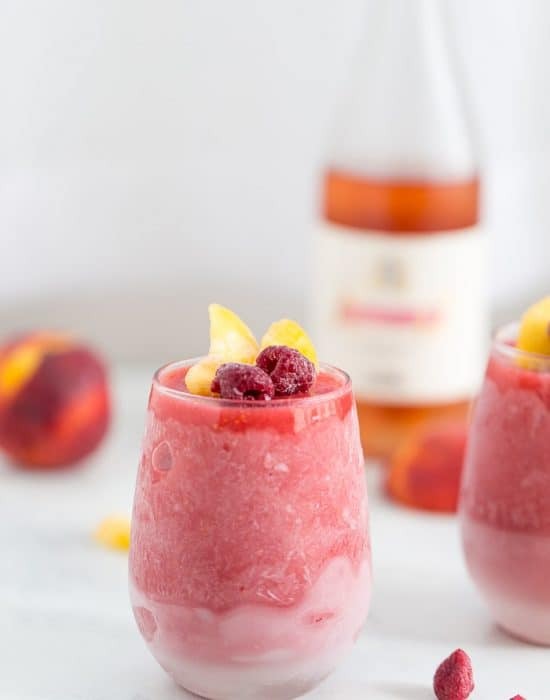 It’s a great pair and one you NEED to make for your holidays. 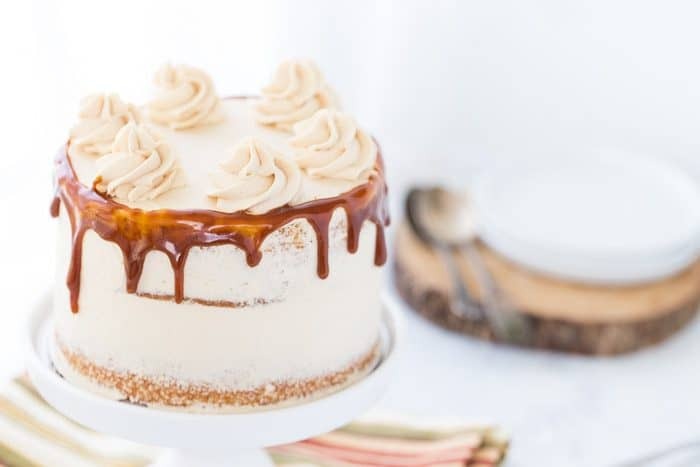 Even if you don’t get around to the cake, make this maple caramel. 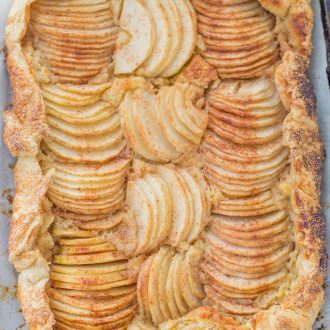 Then slather it in everything from ice cream to pancakes to drizzled over a warm slice of pear galette (coming soon!). In a medium saucepan set over medium-low heat, cook the maple syrup until it begins to simmer. Once it starts simmering, reduce heat to low and cook until reduced in half, swirling the pan occasionally. It should take about 10 minutes and once it starts to smell toasted, it’s done. Let cool slightly. In a microwave-safe bowl, heat the cream until lukewarm. Whisk in the vanilla extract. In another medium saucepan, combine the sugar and water. Set over medium heat and cook without stirring. Once it starts to bubble, increase heat to medium-high. Do not stir. Do not walk away from pot. Watch until it turns from clear to a light caramel. Continue cooking until the caramel is a deep amber color. Remove from heat and whisk in the warm heavy cream continuously. It will bubble violently but continue whisking. Whisk in the maple syrup until combined. Then whisk in the butter until melted. Finally, whisk in the salt and vinegar. Transfer caramel to a heatproof container and cool to room temperature. Preheat to 350°F. 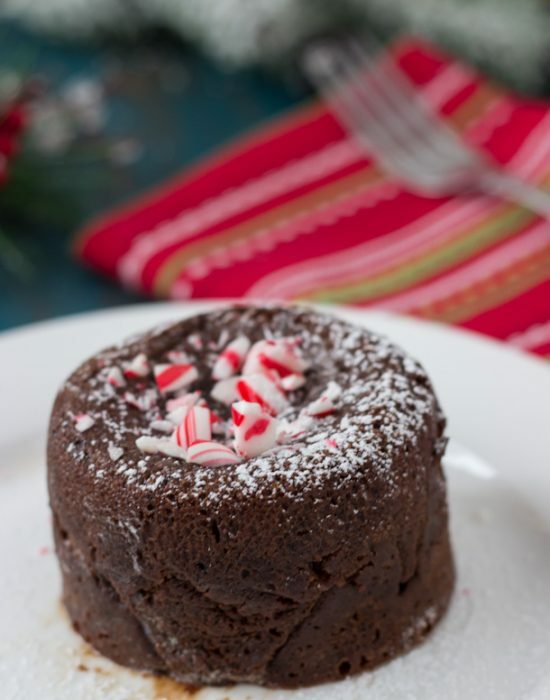 Grease two 6-inch round cake pans with baking spray and line with parchment. Grease parchment. In a medium saucepan set over medium heat, melt the butter. Cook the butter, swirling occasionally until the butter is browned. Transfer to a large bowl and let cool slightly about 5 minutes. Whisk in the sugar, eggs, milk and vanilla extract. In another small bowl, whisk together the flours, baking powder and salt. Add the dry ingredient to the wet ingredients. Mix until gently combined. Divide the batter equally into the prepared pans. Bake in preheated oven for 22-25 mins or until a cake tester inserted into the center comes out clean. Beat the butter and caramel on medium-high speed until light and fluffy. Add the rest of the ingredients and mix on low speed to combine. Increase speed and beat frosting until fluffy, about 2-3 minutes. Fill and layer the cake layers with the frosting. Drizzle with caramel sauce and decorate as desired. This cake is absolutely gorgeous — I think naked cakes so elegant! I have a serious thing for brown butter, caramel, and maple syrup so I’m loving these flavors! Thanks Marcie!! All the flavors came together very well. I loved that beautiful wedding cake that you made – you did an amazing job!!! This cake is nothing short of amazing either. Brown butter is SO good. Yum! The wedding cake was fun!! Thank you! Your cake-ing skills are INSANE. This is gorgeous!! Better than any bakery cake I’ve ever seen. Thanks dear!! I love layer cakes. 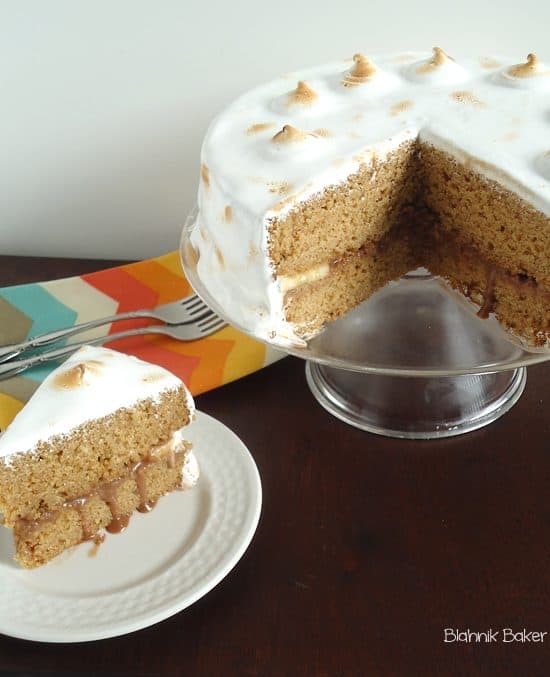 I’ve never had a brown butter cake but it sounds absolutely heavenly! Your friends are lucky to have someone like you to make their wedding cake! We went cake tasting a few weeks ago and were bit disappointed by the number of unimaginative flavors and borderline dry cakes we encountered. If only they offered something like these flavors, I’d be smitten! Oh you will love brown butter cake! Me too! They are always so pretty!! Oh man, I am drooling. All my favorite flavors in one glorious and beautiful cake! Love!!! Every time when I visit your website I get a new idea and I love the way you bake cakes. I always try your cake designs in my kitchen. 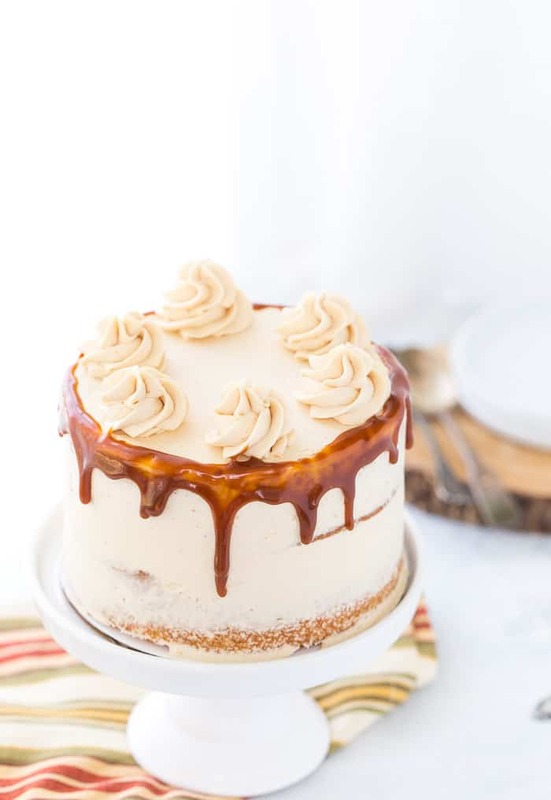 This Brown butter cake with maple caramel buttercream is absolutely gorgeous. Loved it. This sounds amazing! How would you recommend I change the amounts for 9 inch cake pans instead of your specified 6 inch pans? I’m thinking to make it for my dad’s 90th bday party. Thanks for your inspiration! Hi SweetT, I would double the recipe to make a 9-inch round cake. Don’t forget to adjust your baking time for the 9-inch round cake pans.